Had four minutes yesterday morning to whip up something that would feed me for two lunches. That’s all the intro needed. Microwave the rice (3 minutes). While rice cooks, heat sesame oil in a non-stick skillet over med-high heat. 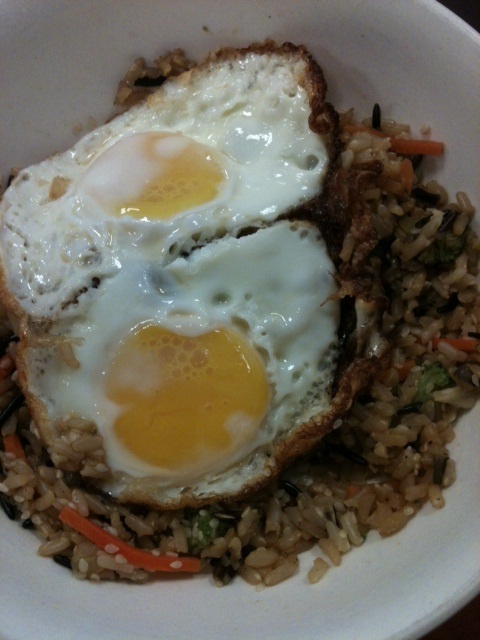 Fry all four eggs in the hot oil while the rice cooks, leaving yolks soft. Divide rice into two containers or onto two plates; mix in 2 tsp hoisin and 1 tsp sesame seeds per serving. Place eggs on top and douse with Sriracha. As you mix the nommy, nutritious bowl of goodness together, the yolks will break open and the hot rice will cook them in the tasty mix, giving a lovely eggy flavor and rich texture. 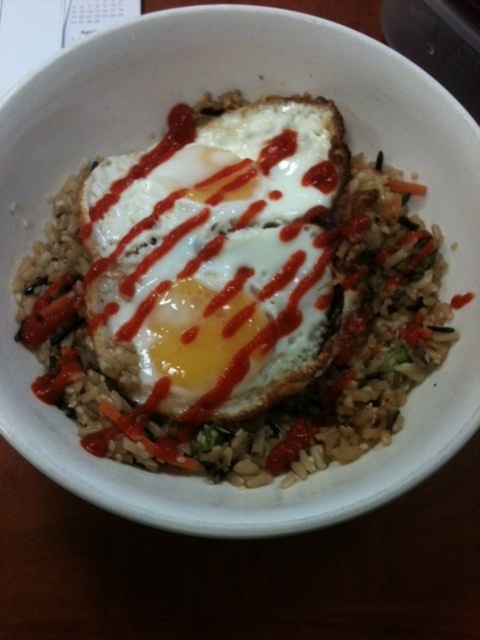 If you haven’t tried real Korean bibimbap, this is no substitute and you should go get some IMMEDIATELY. 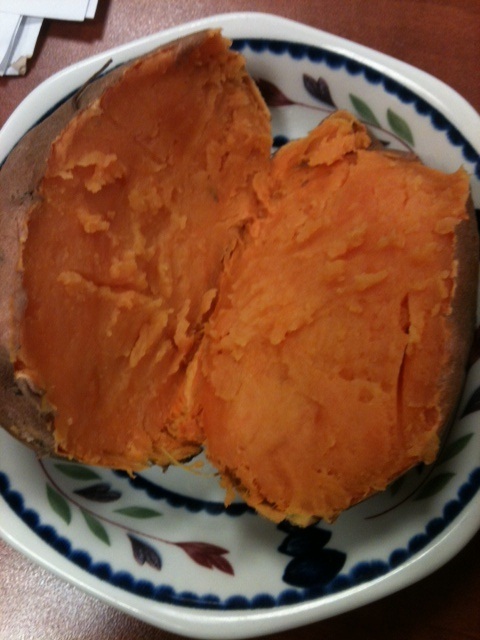 side dish: none other than…. Serves 2, or one busy person twice. This entry was posted in Easy, Eggs, Fast, Gluten free, Healthy Spin, Quickie, Vegetarian and tagged bibimbap, bibimbob, easy bibimbob, easy bibimbop, rice bowl. Bookmark the permalink.